I usually make lots of strawberry jam every spring, but not this year. Too much going on with the move and the weather was weird, I don’t think it was a good crop this year in my neck of the woods. 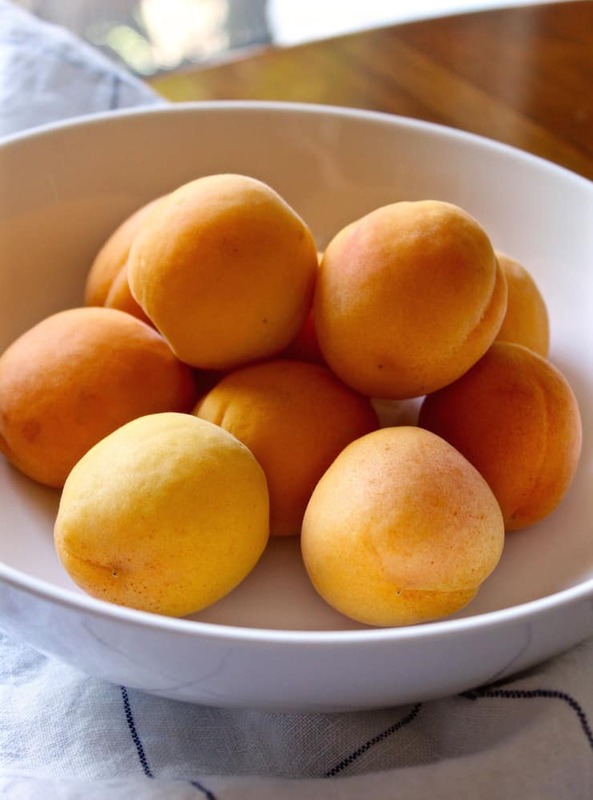 I saw some really good apricots at the store and bought them on a whim. 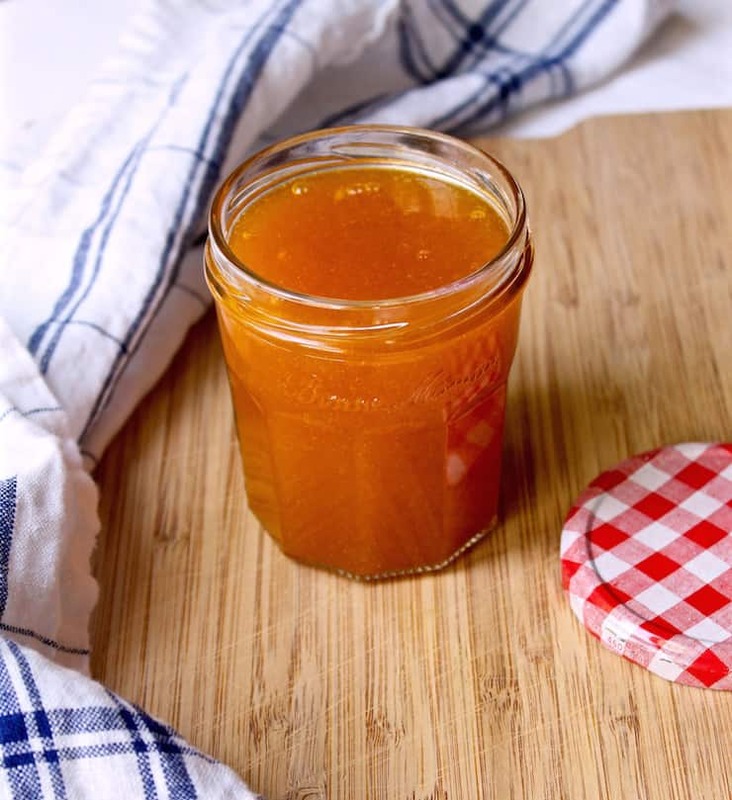 I now have done that several times as I have discovered how easy it is to make a jar of apricot jam, or small batch if you prefer. 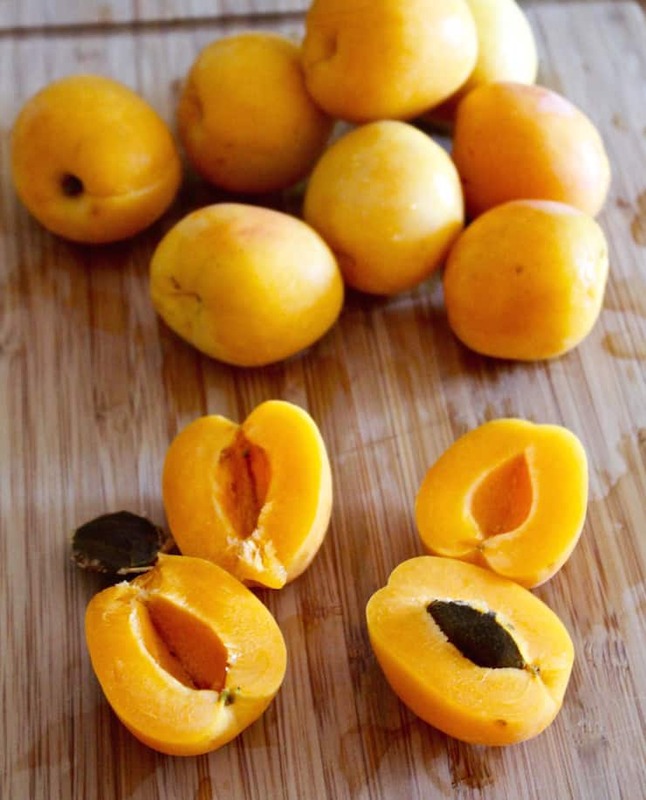 Apricots are in season now and thus a perfect time to make some jam. Not much to it at all. Just apricots and sugar. 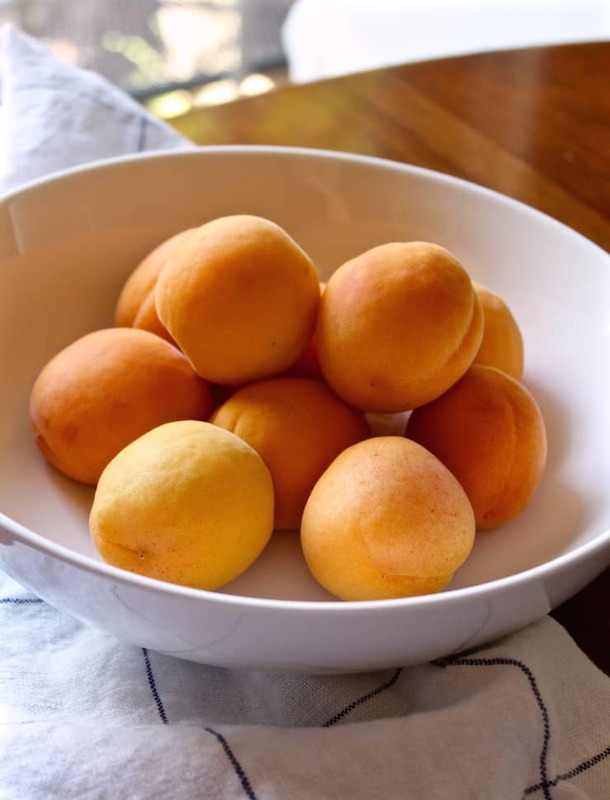 You cook the apricots in a little water until tender (although mine were pretty ripe and tender already), run through a food mill, add the sugar and cook to desired consistency. Desired consistency, that’s the art of jam making. My neighbor in Minnesota who taught me how to make strawberry jam uses the spoon drip method. After it’s boiled for several minutes, dip in spoon and the jam should drip steadily and then quickly slow down into long drips. Hard to explain, I learned that way from watching her show me, and it was still a judgement call. Then there is the chilled plate in the freezer method. Put a small plate in the freezer to chill. When jam looks like it is thickened and jam-like, place a teaspoon full on the plate and return to the freezer for a couple minutes. Tilt plate or run finger through it and if it’s “gelled” to your liking it’s done. If not, back to the burner to cook some more. Both methods are judgement calls. I like my apricot jam on the thinner side. It’s great for glazes and recipes and my favorite, drizzled over Greek yogurt with toasted walnuts for breakfast. 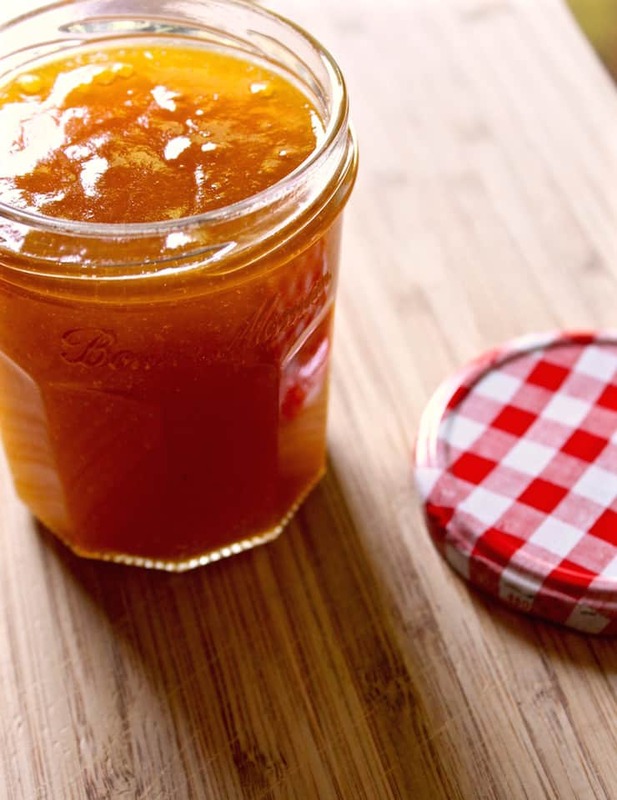 This recipe makes about one jar that will keep a long time in the fridge. You could also can a jar following your canning instructions. I pour the hot jam in a sterilized jar, wipe the rim clean, add new lid and cap (never reuse), turn over for 5 minutes, then upright for 24 hours. I canned one jar for my aunt and it sealed in about a half hour. I love that popping sound. That’s it, pretty simple and I do enjoy making jam. Tastes so good, like homemade always does. 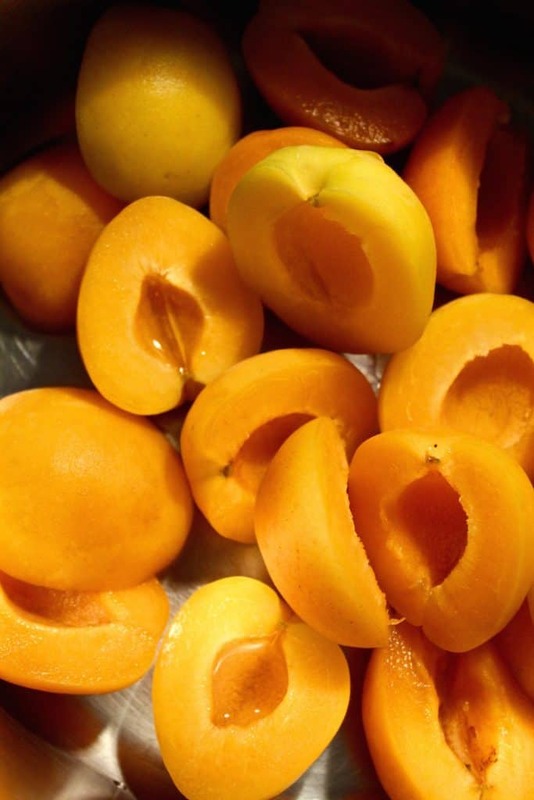 Grab some apricots and see for yourself. 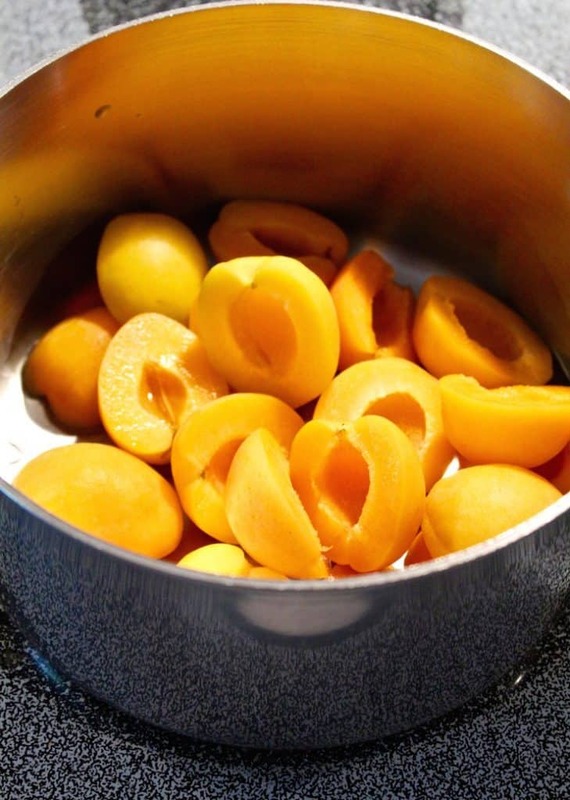 Place pitted apricot halves and water in medium heavy bottomed sauce pan. Cover and simmer until tender, stirring frequently and breaking up with spoon, careful not to burn. Run mixture through a food mill to remove skins, using middle-sized disc, be sure to scrape purée off bottom of disc. You should have 1 cup or more of purée. Return to pot. Add sugar and bring to a boil, stirring frequently and being careful not to burn. As foam appears, skim with spoon. Boil until it looks like jam consistency. Take off heat and do the freezer test. If it’s too runny, put back on heat and continue cooking until desired consistency. Pour jam in jar, cap and let cool. Refrigerate and enjoy!